It's the last Block Party of the year, and that means Halloween Block Party! Costuming is encouraged for all ages. Some shops and classic car owners have candy for trick-or-treaters, a pumpkin carving contest and other activities are typically held at St. Tammany Art Association (320 N. Columbia St.), and other activities may be announced. 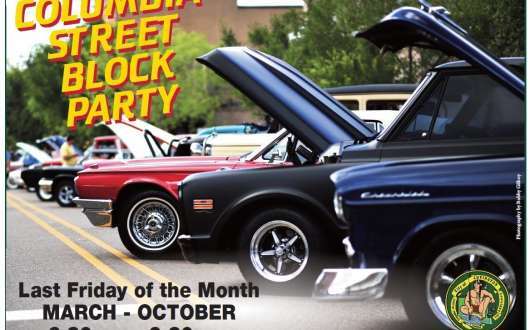 This free family event features classic car enthusiasts displaying their “pride and joy” over four blocks in Covington's historic St. John District. Check out local shops and restaurants, and live and DJ music in many of the downtown entertainment venues. Columbia Street from the 200 to 500 block is closed to vehicle traffic after 5pm and reopens at 10pm. Free off-street parking and in public parking ("oxlots"). 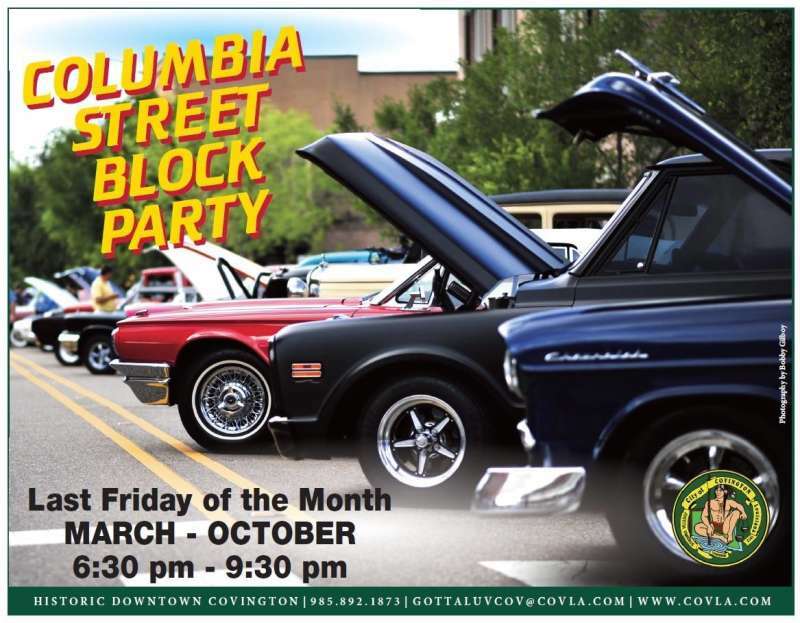 Generally held on the last Friday of each month from March to October, the Columbia Street Block Party is presented by the City of Covington and Covington Business Association. For more information, visit http://www.covla.com for more information.